More photographs, updated prices, added information-collectors will be racing to tear into the new edition of this best-selling title! For most, when receiving a new toy, half the fun is ripping open the package and playing with it. However, the growing appeal toward the line of Hot Wheels. 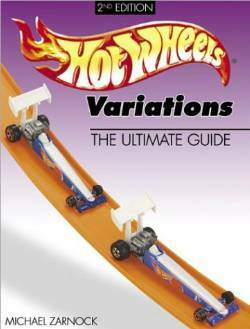 Collector Number Packs-a numbered line of cars distributed by Mattel with slight variations, where the color, wheel, interior or window might have been altered-is them remaining in the original packaging. Author and Hot Wheels. collector, Michael Zarnock expands coverage of the most comprehensive identification and price guide available to include variations found in blister packages from 1989-2002. More than 2,500 cars and their variations are listed and nearly 2,500 are pictured in clear, large full-color photographs. Plus, readers can now step behind the scenes with exclusive information from some of the designers at Mattel who've created these cars and their paint schemes.